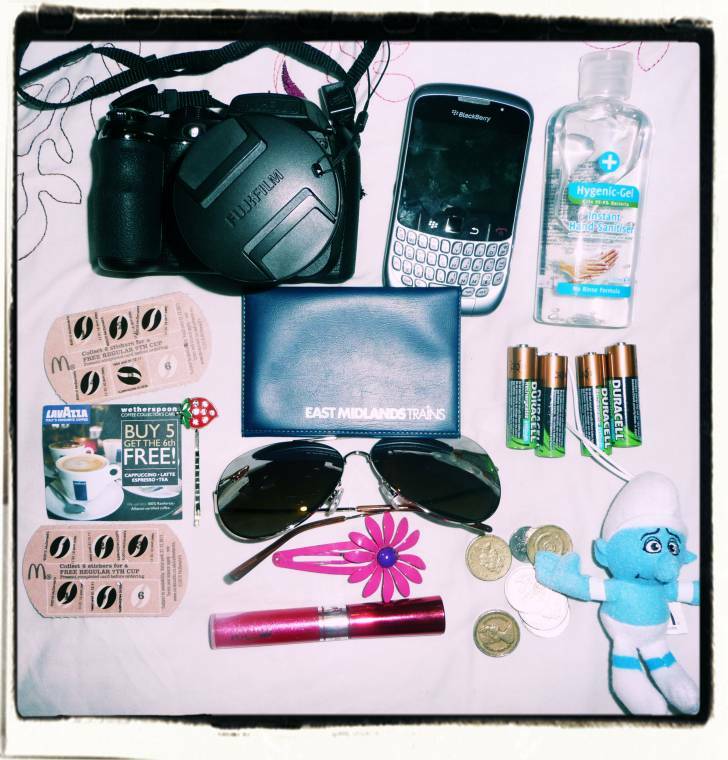 Want to take a look at what is in my handbag? "Shock Absorber Maximum Support Bra Review…"
I have too many things in my purse. Makeup bag, small book, cell phone, some of my kids electronics and many other articles. My bag is lacking a smurf. In My bag sunglasses and some beauty products.